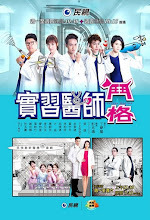 Production Company: Formosa Television Inc.
A story filled with laughter and tears from the perspective of intern doctors inside the hospital. Let us know why you like Intern Doctor in the comments section. Please also share these fun facts using the social media buttons below.